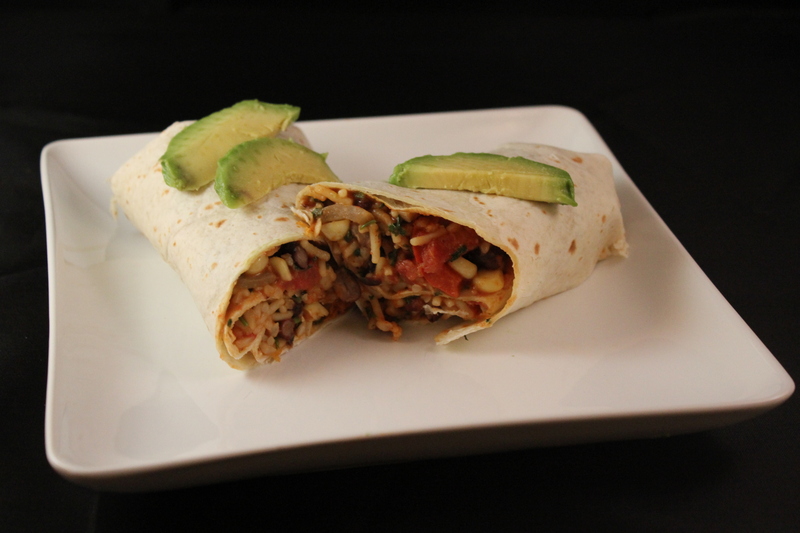 I’m keeping with my recent theme of vegan dishes with this recipe for a delicious and satisfying meatless burrito. While I can live without the meat, it was hard for me to imagine a burrito without my usual sharp cheddar cheese and sour cream. 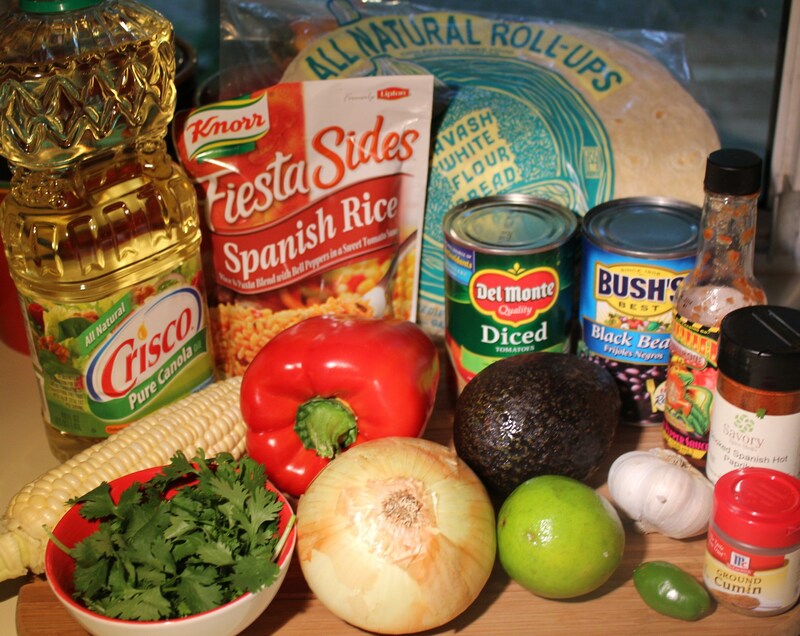 But after the first bite, I actually did not miss these ingredients a bit – this burrito is muy excelente! Plus it’s easy on the wallet without the additional cost of the meat and dairy ingredients. ¡Olé! 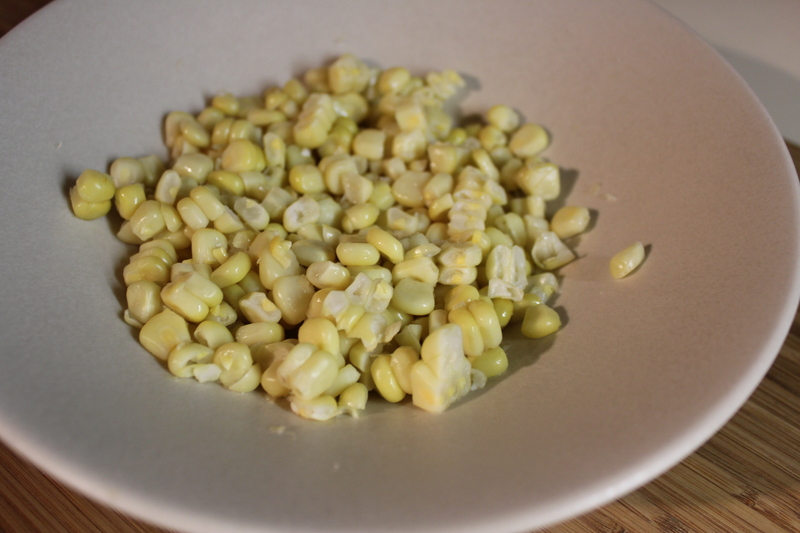 Cook the corn until tender, let it cool and remove the kernels from the cob. Set aside. 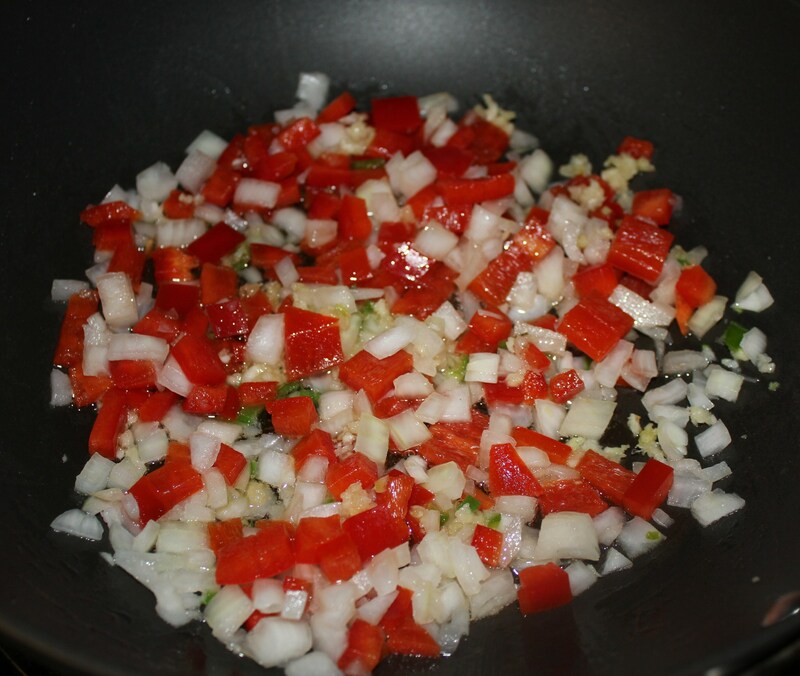 Heat the oil in a large skillet and sauté the onion, red pepper, jalapeno and garlic until tender. 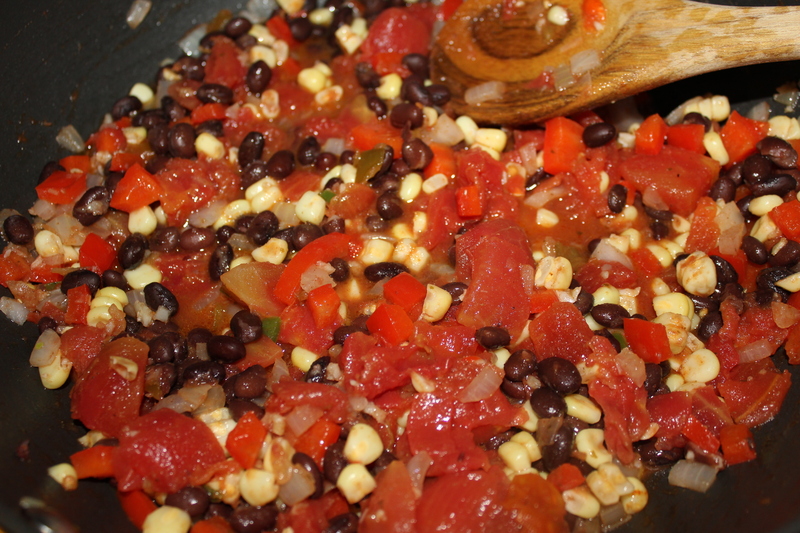 Stir in the black beans, diced tomatoes, corn, lime juice, cumin, paprika, salt and pepper, and simmer for 10 minutes or so. 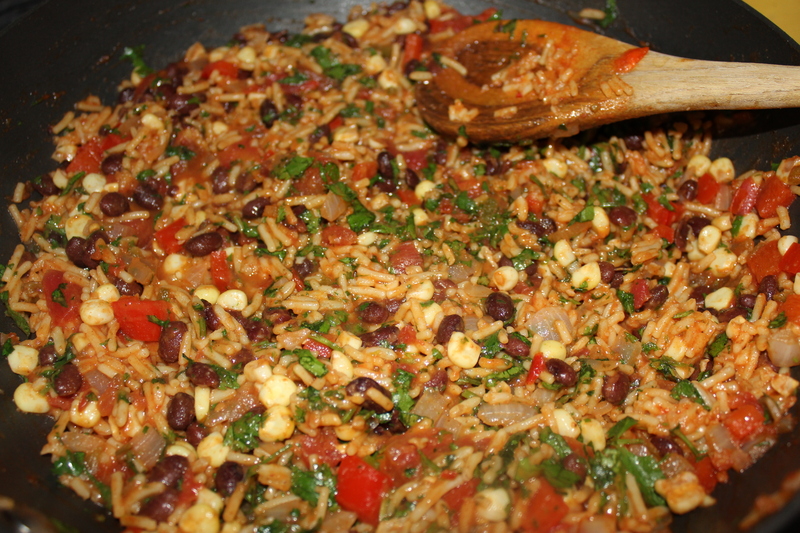 Add the rice and the cilantro, mix well and simmer for a few more minutes. Taste to see if you need to add additional seasonings, hot sauce, etc. Warm a tortilla in microwave or in a skillet, according to package directions. 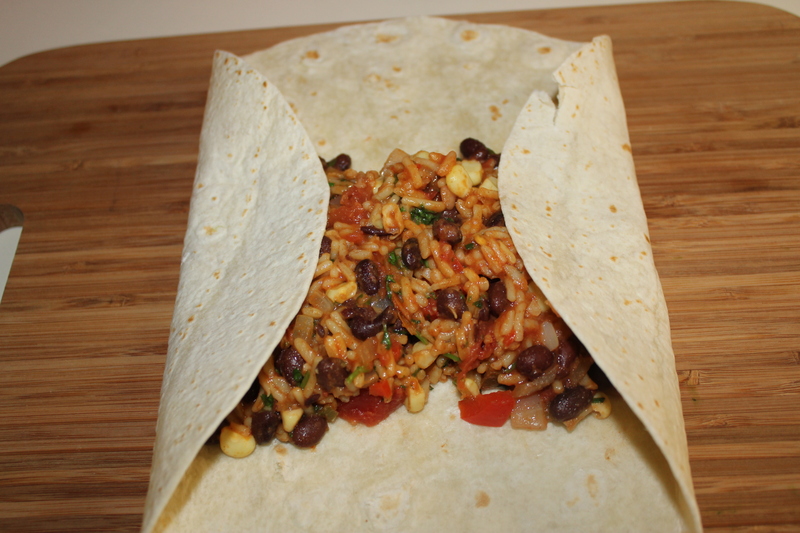 Place the black bean/corn/rice mixture in the middle of the tortilla, and fold in the sides. 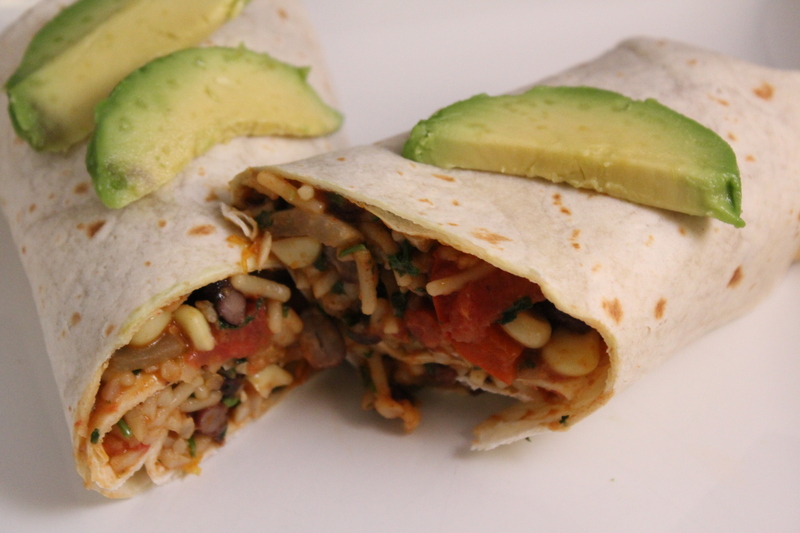 Firmly roll up the burrito lengthwise. Cut in half and garnish with fresh avocado slices. Serve with chips and guacamole or salsa (or both.) And don’t forget the margaritas! 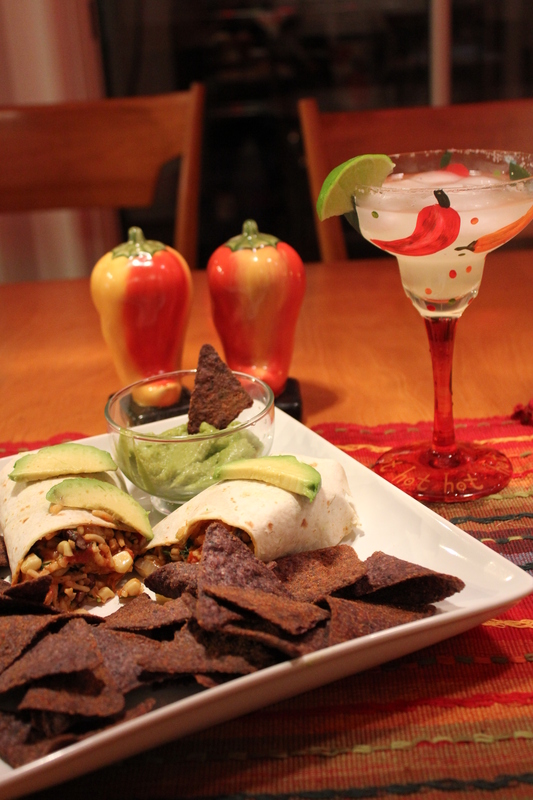 This entry was posted in Pasta, Rice, etc., Recipes, Vegetables/Vegetarian/Vegan and tagged black bean corn rice burrito, black bean spanish rice burrito, eat drink and be merry, kel's cafe of all things food, Kelley Chisholm recipes, vegan black bean rice burrito, Vegan burritos, vegetarian burrito, vegetarian recipes. Bookmark the permalink. Thanks, Bonnie. Even my husband didn’t miss the meat! I just went out to your site and am now a follower! Nice posts, I can’t wait to read more. I am new to Twitter myself – you can follow me @kelscafe.